Seattle Sounders have signed Colombia international Andres Correa. 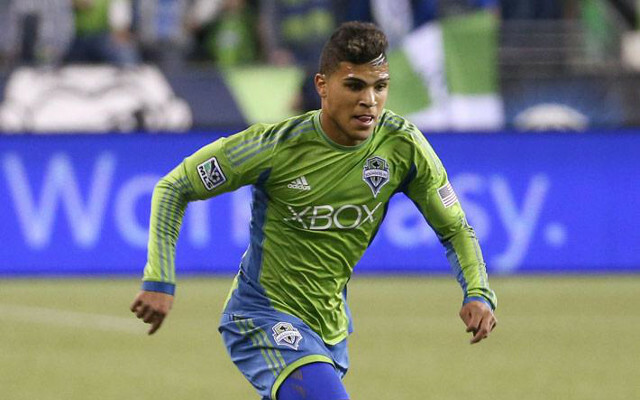 The 2014 MLS playoff semi finalists Seattle Sounders have signed Colombian defender Andres Correa. Premier League money – new £5.1bn deal. Seven Top Players Who Could Be Set For Premier League Moves This Summer: Arsenal, Liverpool & Chelsea All Poised To Spend TV Money On New Signings. (Video) Tottenham Supporters Try To Attack Arsenal Fans At North London Derby. The 21 year old international joins the club immediately and will be available for the clubs 2015 curtain raiser against New England Revolution on Sunday 8th March. “We are pleased to welcome Andrés to Sounders FC,” Seattle General Manager Garth Lagerwey told soundersfc.com. Correa has spent his formative years in Colombia’s Primera Division, playing for Medellin and Fortaleza. He also featured for the Colombian U-20s in the 2013 World Cup. “Andrés is a very good young player with a tremendous upside,” said Sounders FC Head Coach Sigi Schmid. Seattle continue their preseason next week in the Desert Diamond Cup in Arizona – though their opponents are yet to be determined. Correa is expected to feature.